For the first time ever, I feel like I've received a fair deal at a dealership. They went above and beyond, including spending the better part of the afternoon tracking down the exact vehicle we wanted. Will go back. Will recommend to friends & family. Thanks! I recently purchased a cx5 SUV and I just wanted to share what a great experience I had from the moment I came into the store.These guys know what they are doing, I will definitely be coming back! Everyone was very pleasant and went out of their way to get us the vehicle we wanted without any pressure. It was a long ride there but worth it. Would recommend checking them out if you're looking for a new vehicle. Great sales experience. Worked with salesman Jake Forsythe, treated more than professionally. Thanks. Morgan Evans was so nice, listened to what I wanted and delivered the exact car I was looking for. He was very professional and made the entire process so easy and stress- free. 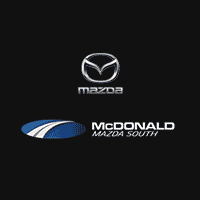 I bought my previous car from McDonald and was pleased with their service department as well. Thank you Morgan, the Finance Team for a wonderful experience. A great experience from start to finish! Morgan was awesome to work with, as was everyone who helped out along the way! Can’t recommend this place enough!